Samuel C. Edwards pleaded guilty to murder and three other charges Monday in the March 11 death of Alesha Morrison. 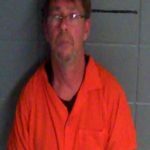 Edwards, 53, spoke softly as he answered questions by Circuit Judge Judy Vance Murphy and pleaded guilty to murder, operating a motor vehicle under the influence of alcohol, failure to maintain required insurance, and persistent felony offender. He answered, “yes ma’am” as Vance Murphy asked Edwards if he understood the charges against him. He again responded, “yes ma’am” as he was asked if he pleaded guilty to each of the four charges. Edwards was driving on Greensburg Road with Morrison as a passenger on March 11 when he wrecked while traveling at a high speed. Emergency dispatch had received calls from other drivers reporting that Edwards was driving recklessly. One call came within minutes of the wreck, which occurred around five miles north on Ky. 61. Morrison, 45, died from her injuries and Edwards was hospitalized in Lexington for a short time. He was charged with murder after a blood sample taken by Kentucky State Police came back at an alcohol content of .176 g/100 ml, more than twice the legal limit. Morrison’s brother and sister attended the hearing in Adair Circuit Court on an evening with few items on the docket and an almost empty courtroom. Her sister, Debra Bryant, wept after leaving the courtroom and said the guilty plea gave her some closure. “It was good to hear him say he done it,” she said. Edwards’ attorney, Charles Bates, said during the plea hearing that they agreed with Commonwealth’s Attorney Brian Wright to recommend a sentencing of 20 years in prison. Judge Vance set a sentencing date for Dec. 12 at 1 p.m.